More photos from the installation at Ecole St Dominique which houses 400 school kids who now have access to clean drinking water. 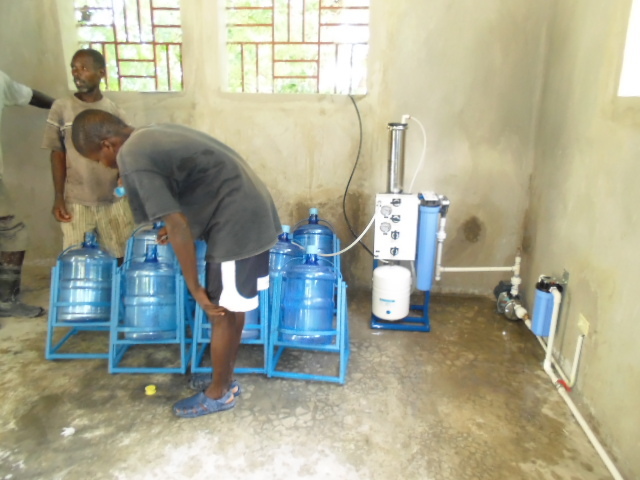 The first shows the training session with the team who will oversee the distribution of the clean water and the maintenance of the LGF UF 20K water purification system. 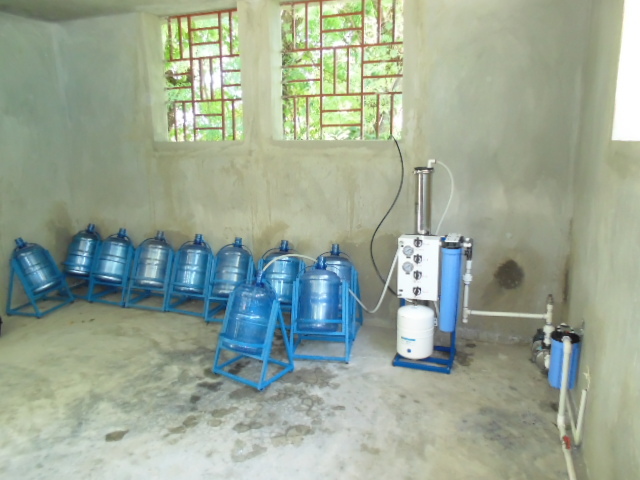 The second photo shows the LGF UF 20k water purification system along with the water jugs and the dispensers for these jugs (hand crafted by our local team and some at risk youth from Cite Soleil slums in Port au Prince). This entry was posted in LifeGivingForce Foundation. Bookmark the permalink. Post a comment or leave a trackback: Trackback URL.